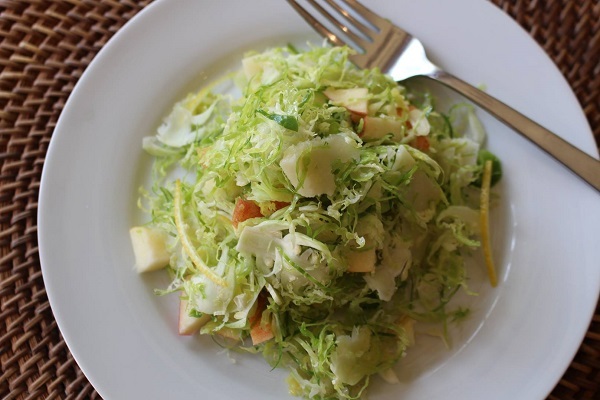 I saw some pretty green branches of fresh Brussels sprouts in the supermarket the other day and had to make this salad. One of my favorites! I promise you will be amazed by how good it is. 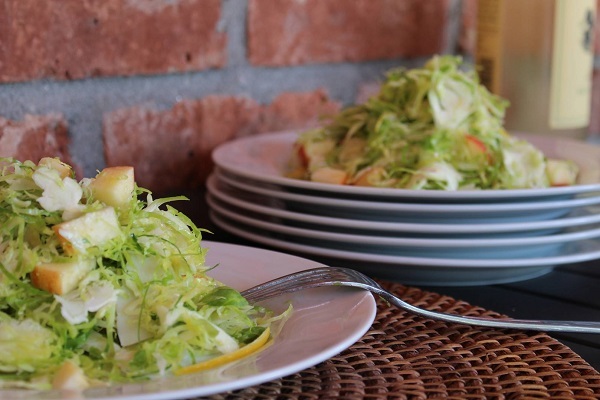 I’ve served this Brussels Sprouts salad to skeptical adults who swear they “hate Brussels sprouts,” only to witness them dig in with gusto after the first bite. Even kids come back for seconds! 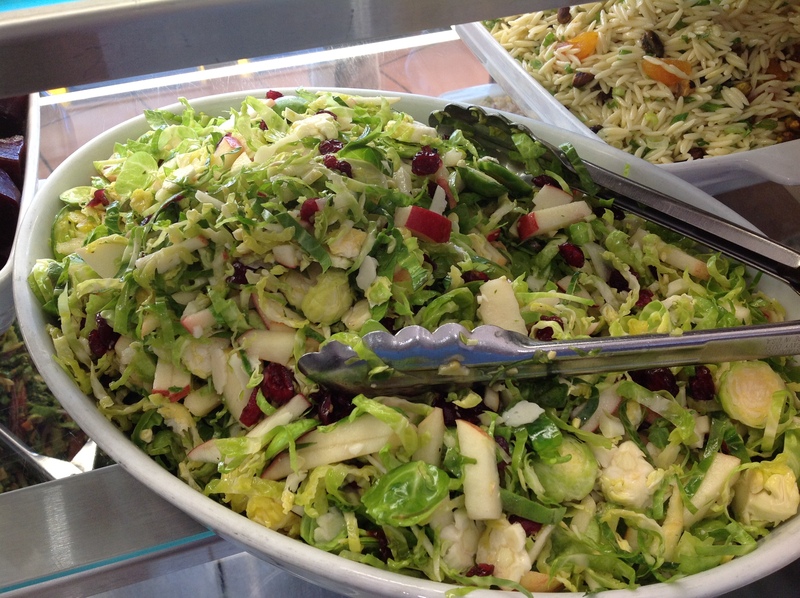 Raw salads are extremely popular these days with everyone concerned with their health, and this is one of the best. It takes only minutes to put together. Love it! In a small bowl, whisk together the salt and vinegar. Slowly whisk in the olive oil until well combined. Season with pepper and set aside. 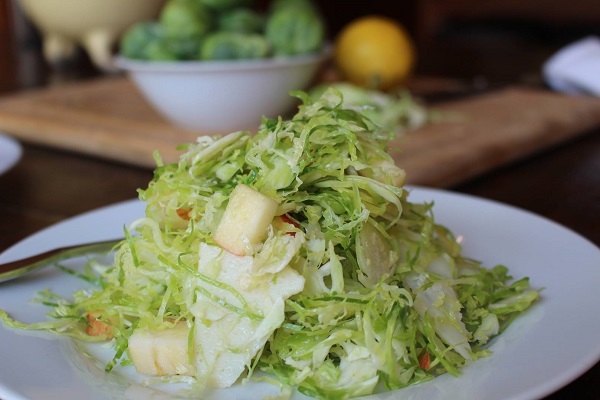 With a sharp knife, trim the bottoms of the Brussels sprouts. 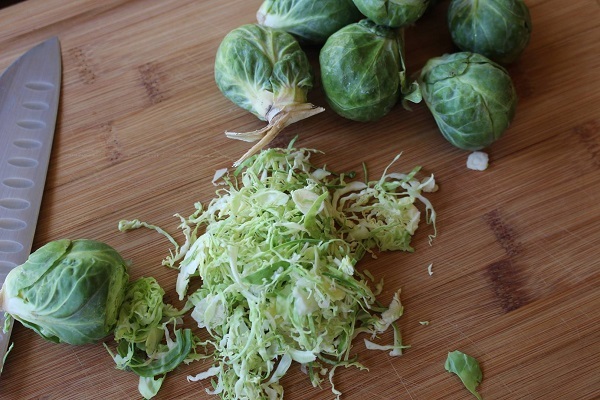 Slice each sprout as thinly as possible, using a sharp knife or a mandolin. 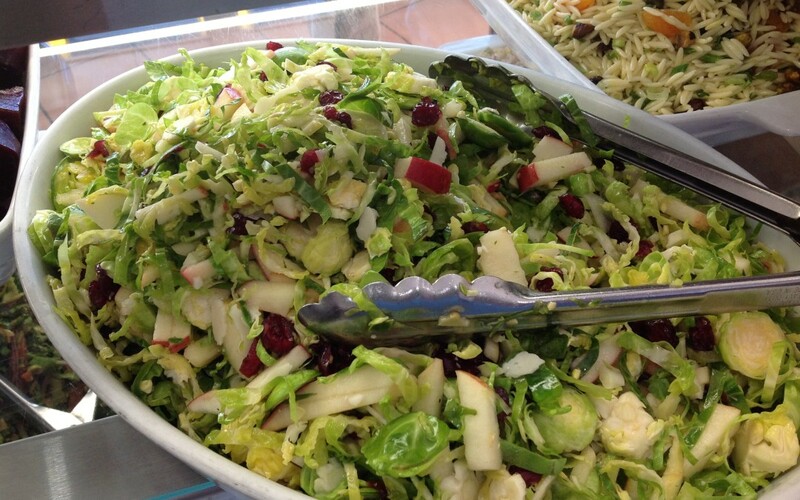 Transfer the sprouts to a serving bowl and add the apples and cheese. Whisk the vinaigrette again to emulsify and toss about ¾ cup of it with the salad. Use more if needed. Taste and adjust the seasonings with salt and pepper, if needed. Serve right away.